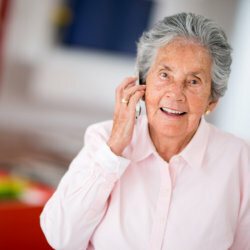 UltimatePlus Hospice is here to see to yours and your loved one’s needs at any time. We keep our phone lines open twenty-four (24) hours a day for patients and their loved ones who may need to consult with us regarding their situations. We know for a fact that when one is suffering from a terminal illness, anything can happen at any given time. In light of this, we always make sure that a member of our staff is available at all hours of the day to address your concerns, provide you answers, and ease your mind on important matters and issues. You may reach us at 214-427-8227 for more information on this particular service.